Happy New Year everyone. I hope you had a good night last night and are able to relax and unwind today. I’m working this New Years Day, so think of me if you’re cozy at home and if you’re also working, you have all my sympathy! The final stats post of 2018 is coming tomorrow, but instead of a Book of the Week post today, I’ve got a look ahead at some of the upcoming books that I can’t wait to read in 2019. Another one sitting on the Kindle waiting for me is the Sidney Chambers prequel The Road to Grantchester which comes out in March. I was sad when the series proper ended (the books, not the TV series – I gave up on that during the 3rd season), so the idea of a look at how Sidney came to be in Grantchester really appeals to me. Also in March is Daisy Jones and the Six by Taylor Jenkins Reid. About the events leading up to the unexplained break-up of a hugely successful band in 1979, it’s already been optioned by Reese Witherspoon’s production company. I have a mixed record with stories about bands – but enough of them have ended up being Books of the Week that I’m optimistic about this one. Even further into 2019 is The Doll Factory by Elizabeth MacNeal, which is being billed as being a historical novel about art, obsession and possession – when an aspiring artist become the model for a pre-Raphaelite artist. 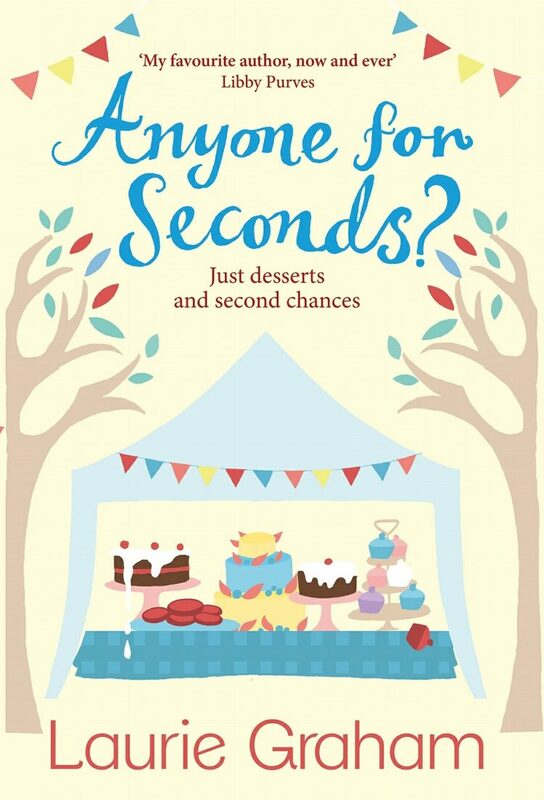 It’s out at the start of May and is getting a lot of buzz – so I’m looking forward to reading it, but I’m a little worried it might be too dark and scary for me! I loved Helen Hoang’s The Kiss Quotient in 2018, so I’m very excited for the follow-up The Bride Test which is also due in May and looks like a twist on the marriage of convenience/mail order bride trope with another neurodiverse leading player. I can’t wait! And halfway through the year, in June, is Montauk by Nicola Harrison, which tells the story of a summer by the Long Island seaside in 1938. We all know that I love a rich people problems historical novel, and this looks like it could be spot on for me. According to the blurb, Beatrice is hoping that the summer at the beach will help her revitalise her marriage. But instead she’s stuck in a huge hotel with people she’s never fit in with while her husband is back in the city. Instead she’s drawn to the year-round community and a man who is very unlike her husband. And finally, this is not quite a next year book – as it cames out here on December 27th – and I don’t really do business improvement/self-help books but after hearing about it in an email Karen Wickre’s Taking the Work Out of Networking Connections: An Introvert’s Guide to Making Connections That Count sounds like something I could really use. I am not a naturally outgoing person – I’m very bad at networking and making connections and use social media as a crutch to get over the fact that I just can’t bring myself to call people I haven’t spoken to in ages just for a chat and a catch up. Perhaps 2019 is the year to change that? Let me know what you’re looking forward to reading in 2019 in the comments! It’s nearly the end of the year and I promised you some extra posts looking back at the year didn’t I? Well, here’s my look at five of my favourite books of the year. Looking back on my Goodreads stats to write this, I realise that I’ve been very stingy with the 5 stars this year – which has made this very tricky to write because there are a lot of 4 star ratings and I’ve had to workout which ones were my real favourites. And because of the way this blog works, you’ve heard about most of these before – either as Books of the Week or in other roundup posts – because when I like stuff this much, I tell you about it! This was part of my pre-Washington reading and although I read a lot of good books in that particular reading jag, this one has really stuck with me. A snapshot of all the children and teens killed by guns on just one day in America, it is meticulously researched and will break your heart. If you are in any doubt about the scale of gun deaths in the US, this will put it all into perspective -this is just a normal day – no mass shootings, just ten dead young people ranging in age from 9 to 19. Lets get all the sad books out of the way to start with. This is a middle grade continuation/follow on to E Nesbit’s The Five Children and It book. I think I read the 5 children (maybe even more than one of them) after the 1990s BBC TV series was shown and it had never occurred to me that these were the children who would be the young men and women of the Great War – and of course when Nesbit was writing the books, she had no idea what was in their future either. This is really, really good, but also quietly devastating. There are a lot of Second World War middle grade books, but not so many (or at least not that I’ve come across) Great War ones – this is a very good addition to the genre. It came out a couple of years ago, but reading it this year with the centenary of the Armistice, felt very timely. It wasn’t my BotW at the time -I was in a historical crime groove back in at the start of the year, but I’ve recommended it a few times since and it’s quietly crept up my list of best reads of the year. The third in the Vinyl Dectective series is right up there as one of my favourite detective stories of the year. This time our unnamed hero is on the hunt for records by a wartime swing band. The Flarepath Orchestra were contemporaries of Glenn Miller, but their recordings are incredibly rare. After one pops up unexpectedly, the Detective and his gang are asked to track down the rest. But there are still secrets and lies at the heart of the band and soon a great deal of danger is threatening the gang. This wasn’t a Book of the Week at the time – because it’s the third in the series and you’ll get the most from them by reading them in order. The first in the series, Written in Dead Wax was a BotW last summer though – and I thoroughly recommend starting with that. My Dad has read these and practically snaps my hand off to get the next one from me! Good reads doesn’t have any details for a fourth yet, but I’m hoping that we’ll get more adventures in vinyl in 2019. Regular readers know how much I love Laurie Graham (and if you don’t, here are the posts to prove it) but I remember saying to a friend before this came out that if she was going to write a sequel to one of her novels, this wasn’t the one that I would have picked. How wrong I was, because this is my favourite of her contemporary novels in ages. It snuck out a bit under the radar in August and I nearly missed it. We rejoin Lizzie Partridge, the heroine of Perfect Meringues, some twenty years after we last met her. Lizzie was a TV-chef on the regional news, but after The Incident she has mostly worked in print. But when her last paying gig is pulled, Lizzie decides to run away in the hope that it’ll get her some attention. But no-one notices. It does however, set in train a series of changes in Lizzie’s life. It was a BotW and it’s still one of my favourites this year. 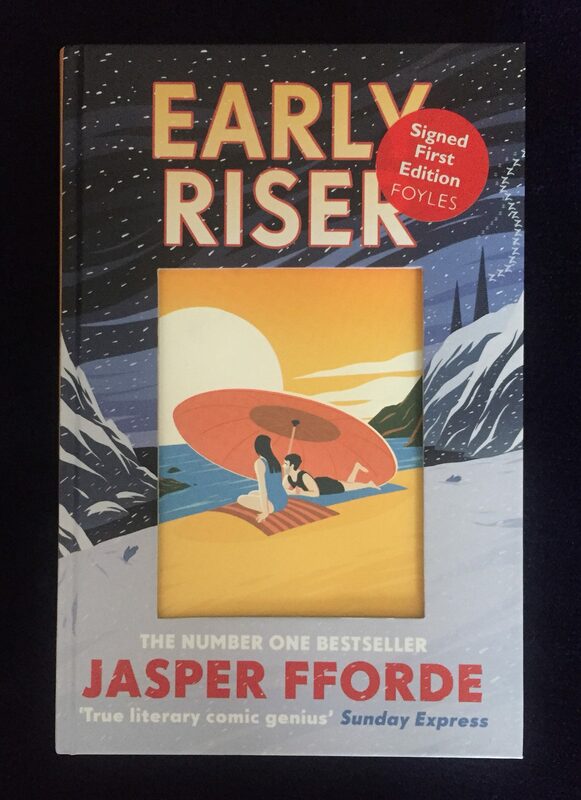 It was a long wait for a new book by Jasper Fforde – my big Fforde discovery and binge actually happpened before I started this blog, but Early Riser was worth it and it was a BotW. Set in a world where humans hibernate for four months every winter, this follows the adventures of one man in his first year as a Winter Consul – one of the people who watch over the sleeping masses. This is completely standalone from his other books, but if you’ve read other Fforde novels you’ll spot that this world has some elements in common with Thursday Nexts. It’s fantasy and sci-fi but at the end of that spectrum that I like. And another non-fiction book to round out this list. Euny Hong’s family moved back to South Korea in the 1980s when she was at school so she is ideally placed to take a look at how South Korea turned itself into a big name on the world stage through the course of twenty years. This is a really, really interesting and readable guide to the Korean pop-culture phenomenon and the policy behind it. Although some of the section dealing with North Korea is now slightly dated that doesn’t detract from the overall impact of the book. I would happily have read another 100 pages. It had been on my to-read list for ages – but I finally got around to getting hold of a copy after the Pyeongchang Winter Olympics at the start of the year (although it took me another few months to get around to reading it!). I’ve recommended it a number of times – and used knowledge I learned from it to look smart when talking about K-pop with younger colleagues. A winner all around! Let me know what your favourite books of the year have been in the comments – and coming up over the next few days we’ve also got my reading obsessions of the year – and how 2017’s obsessions have lasted as well as the books that I’m looking forward to in 2019.So here you are, six of my favourite reads of 2018. There were a few five star reads this year that aren’t on the list – but they are very much from favourite authors – new installments in the Wells and Wong series and from Gail Carriger and the Kiss Quotient by Helen Hoang that I’ve already talked about so much already over the years that I’d be boring you to tell you about them again. Another week gone and we’re nearly at Christmas and the end of the year. I’m way behind on Christmas this year: on present shopping, on decorating, on festive reading. I feel like I’ve dropped a few baubles this year. Hey ho. One thing I can do is a pick my favourite book of last week – Roxane Gay’s Bad Feminist – although I can’t promise that this will be the longest post ever! Bad Feminist is a series of essays that sets out Ms Gay’s views on gender and race and why it’s ok to have messy, complicated views on issues. It is broad ranging in topics – which include the way that women’s bodies are viewed through to 50 Shades of Grey via competitive Scrabble tournaments. First published in 2014, a few things have changed since Bad Feminist came out – it is pre #MeTop, from before Donald Trump was elected president and before Bill Cosby was jailed. But that’s ok because there’s a lot here for you to think about and even the bits that feel a bit dated* give you pause for thought. It can make you hoot with laughter and it will make you cry. I had heard a lot about this book, and indeed it’s been on my list of books to read for a long time, but due to the size of the pile and my attempts not to spend too much money on books, it’s taken a while to get to this. I read Ms Gay’s short story collection first in fact, because a review copy came my way. I follow her on twitter and I knew going in that I don’t always agree with her, but that she always has something worth listening to and considering whether you need to adjust your opinions. And as expected, I didn’t agree with everything, but it gave me a lot of things to consider and insight on life experiences that are different from my own and that is always worth having. My copy of Bad Feminist came from the library but it’s also available fairly easily from the shops and as an ebook in Kindle and Kobo. * I know, how can something only four years old feel out of date? Ladies and gentlemen, I give you the American political news cycle. I have recently had first hand experience of it and can testify that it’s really something and can chew a story up and spit it out in a remarkably rapid period.